You are here: Home › Stayfitcentral Health & Fitness Blog › Health & Fitness Blog › Ask The Experts › Is There A Lactose Free Whey Protein Powder? If you don’t tolerate lactose, a sugar found in many dairy based foods, then you may find that many whey protein powders cause you problems. It’s unfortunate since whey protein is one of the best there is for building muscle and keeping your body healthy. Fortunately, advances in food science have found a way to process whey protein that eliminates virtually all of the lactose. I personally know many people who are unable to tolerate lactose at all that can now drink specific whey protein powders which have little to no lactose. Once you know which type to buy, you may be able to drink them too without feeling nauseous, bloated, and gassy. When shopping for a whey protein powder that’s virtually free of lactose you always want to buy a product that contains whey protein isolate. This type of whey protein goes through a filtering process that’s able to remove almost all the lactose. What you’re left with is a protein powder that contains more protein per scoop than any other type of whey and hardly any lactose or other sugars. Even the fat and cholesterol whey typically contain are removed. It’s easy to see if a protein powder uses whey isolate. All you have to do is read the ingredients list and look for whey protein isolate in the list of ingredients. This is the only type of protein that should be listed. If you see whey concentrate or other milk proteins in the ingredients section the supplement probably contains lactose. I did some research and found two protein powders that use whey isolate as their only source of protein. This means they should be very low in lactose. I also chose them because they taste great and mix easily in water. Gaspari Isofusion – Every scoop has 25 grams of whey isolate and only 1 gram of fat and sugar. It’s available in 3 flavors: milk chocolate, orange cream, and vanilla ice cream. 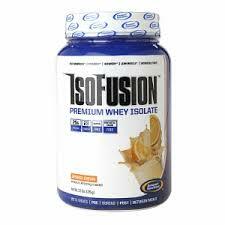 Isofusion is one of the best tasting whey isolate powders I’ve tried with a creamy texture that makes it a real treat to drink. You can drink it as a snack or pre and post-workout shake. You can buy Gaspari Isofusion at our online store. Optimum Nutrition Hydrowhey – Hydrowhey is another high quality, lactose free whey isolate protein shake with 30 grams of protein per serving. Digestive enzymes are included in its formula to help your body utilize every gram of protein possible. 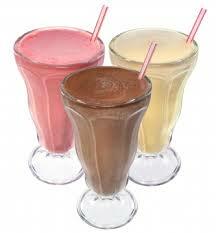 Hydrowhey comes in 3 flavors: cookies and cream, supercharged strawberry, and turbo chocolate. My favorite flavor is chocolate. They all mix easily, with just a spoon or couple shakes in your shaker bottle. 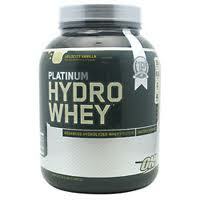 You can buy Optimum Hydrowhey from our store. Now you know which type of whey protein has little to no lactose. I recommend trying a single scoop at first to see how well you tolerate them. As with any nutritional supplement, make sure you first speak with your doctor or healthcare provider first. Whey Vs. Casein Protein Powder – Which One Is Best?